Recording different sounds around the city with Andrew Schembri. When people think of Valletta, they think of it as being Malta’s capital city. They think of it as a commercial hub with plenty of shops, cafés, bars and cinemas, as well as a cultural hub, with its museums, theatres and many exhibitions. However, how many people think of it as someone’s home? How is Valletta seen from the eyes of a Belti (a Valletta resident, born and raised)? This is what Belti, an initiative conceived by the Valletta 2018 Foundation as part of their Cultural Programme, addresses – to show people Valletta from the perspective of a resident. In collaboration with St James Cavalier Centre for Creativity, the project sees three animators visiting St Ġorġ Preca College, Valletta Primary School to conduct creative workshops for children (See more here) which will allow children to communicate their experience of living in Valletta as a resident in an artistic way. These three animators – Antonella Mifsud, Andrew Schembri and Robyn Vella – have tapped into the children’s creativity by encouraging students to create artistic pieces based off their own interpretation of Valletta, their home. “They’ve come up with a lot of interesting ideas about Valletta which we as outsiders would have never imagined,” says Antonella. “A lot of people who visit Valletta forget that it’s someone’s home. Most think it’s just a shopping centre,” says Robyn. The three have been teaching various artistic techniques to the students, in order to equip them with the means of telling their own story. “It’s a learning experience which is also fun and entertaining. We’ve showed them how things are filmed, how to log shots, how to record sounds, and much more,” explains Andrew. 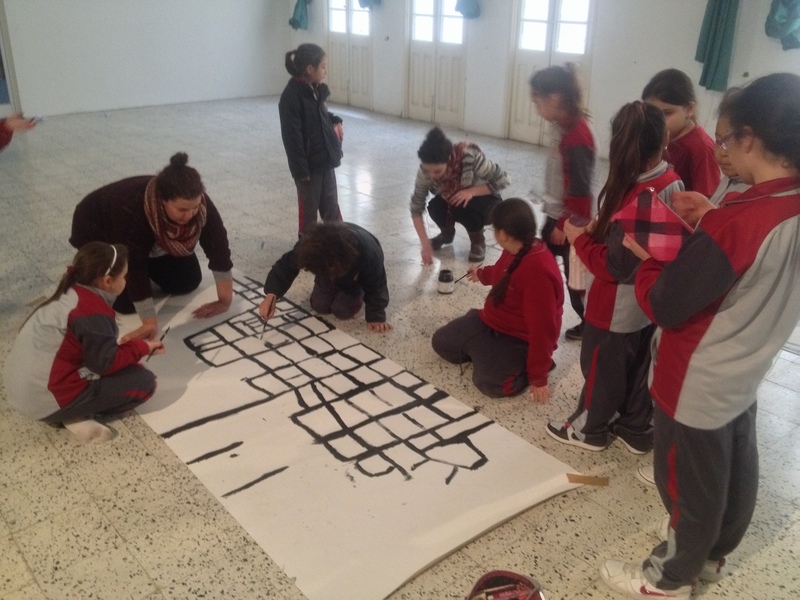 The activities the children work on include painting a mural, creating a short film, recording sounds, coming up with ideas for traditional Valletta food and working on a colourful float. All these will feature in an exhibit once the project is completed. This may sound like a lot of work, but their parents are more than willing to help their children. For example, one parent works on carnival floats and has already offered to help construct one for the exhibit. At this stage, production is underway. The children, all around the ages of eight and nine, are very excited to create things and communicate to outsiders what Valletta means to them. I’ve visited the primary school twice so far, once for drama recordings and once for sound recordings and mural painting. During my first visit, drama recordings took place in the school’s chapel. Before entering, stomping and hearty laughter could be heard throughout the corridors. Full of energy, the children entered the room, running and screaming, eager to get to work. With drama recordings, everyone has their own part to play: some children act, others narrate while others record everything on a video camera. “After everything’s filmed, we’ll edit the film ourselves as it’s quite difficult to teach a big class the editing process. It would’ve been doable with a smaller group,” says Antonella. In total, they have about 30 students participating in the Belti initiative. 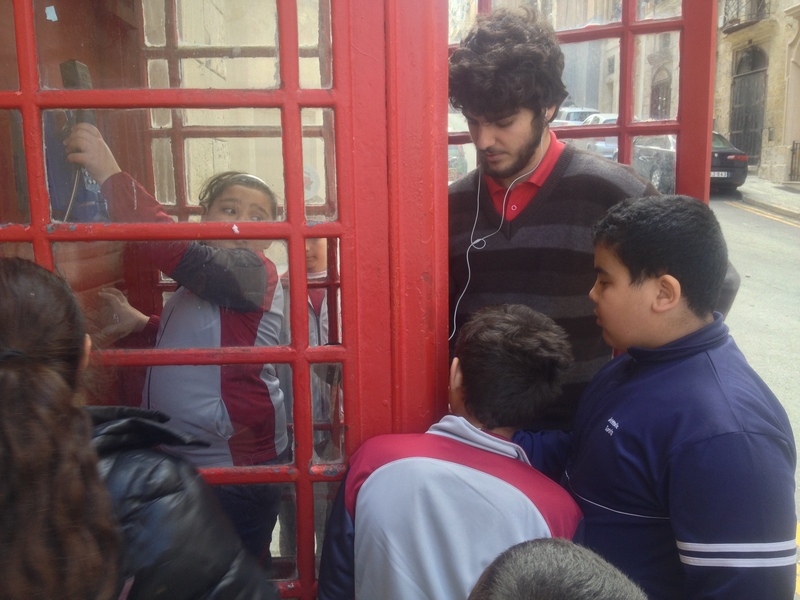 During my second visit, I accompanied Andrew with 10 students and a teacher around Valletta. We went to different areas around Valletta such as Fort St Elmo and the market place in Merchant Street to record different sounds such as pigeons cooing and flying, the sound of bells from horse-drawn carriages, engines revving, people chatting and monti stalls being dismantled, to mention but a few. Each child had a turn in recording a particular sound. The children then have to select different sounds from the Valletta soundscape to create an audio track which will be played at the exhibition to accompany the drama projections. Painting the mural with Antonella Misfud and Robyn Vella. Meanwhile, back at the school, paper, paint and crayons were on the agenda with Antonella and Robyn’s groups who are creating the mural. Here, kids were either drawing with crayons on papers, or they were on all fours painting the huge mural sprawled over the floor. The mural, which is a recreation of the map of Valletta, is constructed of the many square blocks where streets intersect. These squares will then be filled with the children’s products of imagination such as drawings and colourful designs. The exhibition will not only show a different side of Valletta through someone else’s eyes, but it’s also an opportunity for these young creative children to express their talent and showcase their work to the public. The exhibit will be held early in summer before school breaks up for holidays.